Earlier today at Universal Studios, the walls came down around facade for Despicable Me: Minion Mayhem, which resembles the house from the film. 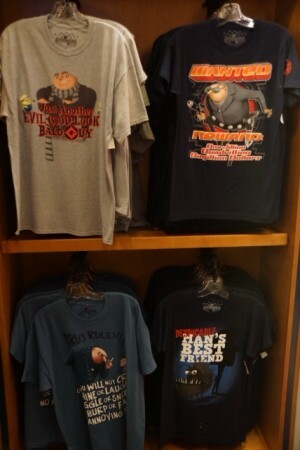 There is also lots of new Despicable Me merchandise for sale in the Studio Store. The marquee for the attraction is installed. Little details on Gru’s home, which is the facade for the attraction, have been added like this balcony. Gru’s vehicle from the film is also featured in the entrance. 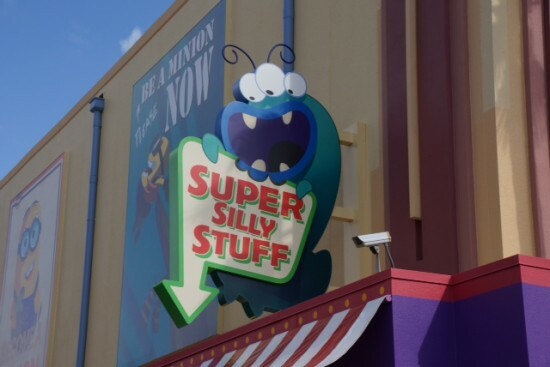 The street perpendicular to the attraction has been renamed Minion Way, formally Nickelodeon Way. The marquee for the attraction’s gift shop has also been installed. Drawings from Gru’s kids decorate the windows. Billboards have been put up advertising the attraction. 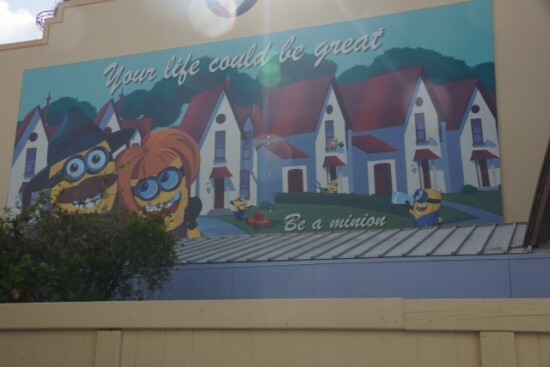 They want guests to “Be a minion”. Huge billboard on the other side of the building with Gru’s logo above it. 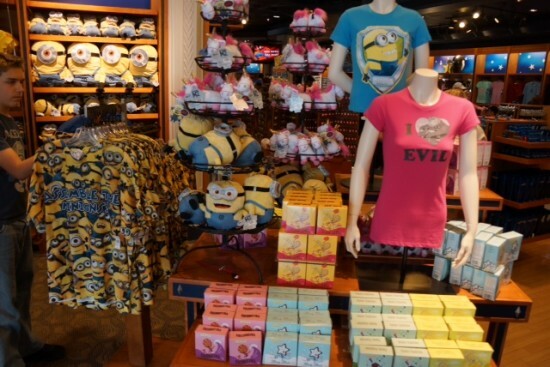 There is lots of new merchandise in the Studio Store for Despicable Me. The famous plush unicorn from the movie is for sale. Here is a shirt designed to look like Gru’s outfit in the movie. These shirts are sure to be popular among young girls. 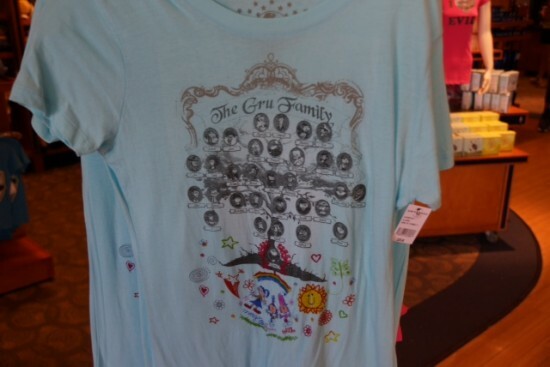 A shirt featuring Gru’s family tree. There are also shirts for boys and men. 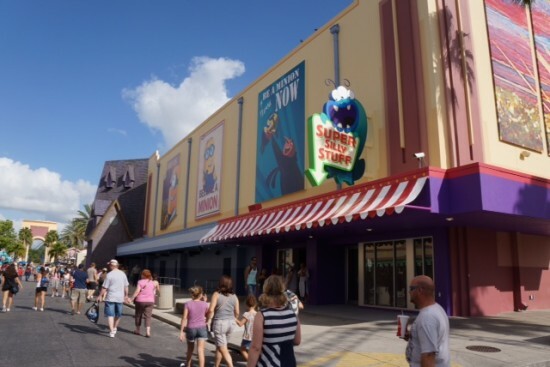 The Despicable Me: Minion Mayhem experience will start as guests enter Gru’s home and will take them on a 3D journey throughout the Despicable Me World and then finally to a minion dance party. The attraction is set to open this Summer with no specific date announced yet. Guys the launch date is so obvious, see the movie, it is told and shown so many times- calendar , ticket – see the movie again! 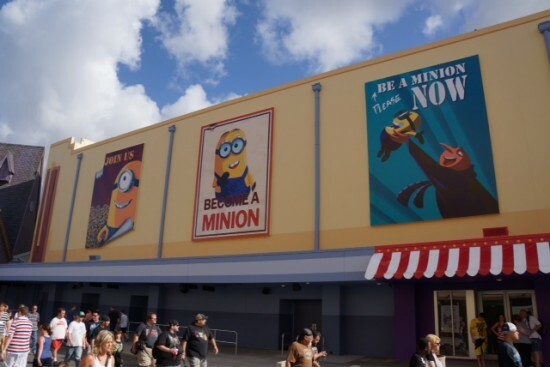 Is despicable me minion mayhem almost finished? Its so exsiting a new ride lovible for all ages. its a thrill ride for teens and a kid movie for kids.